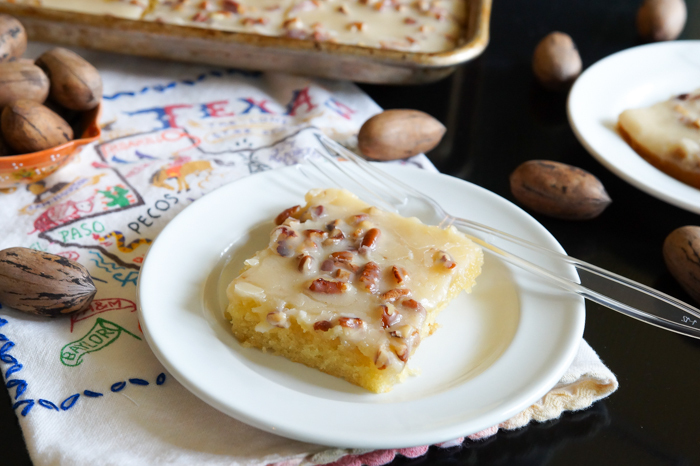 We all know traditional Texas Sheet Cake, or at least I hope we all know it. My hips know it well. A soft, thin cake topped with a warm fudge and pecan icing that's poured over the hot cake. 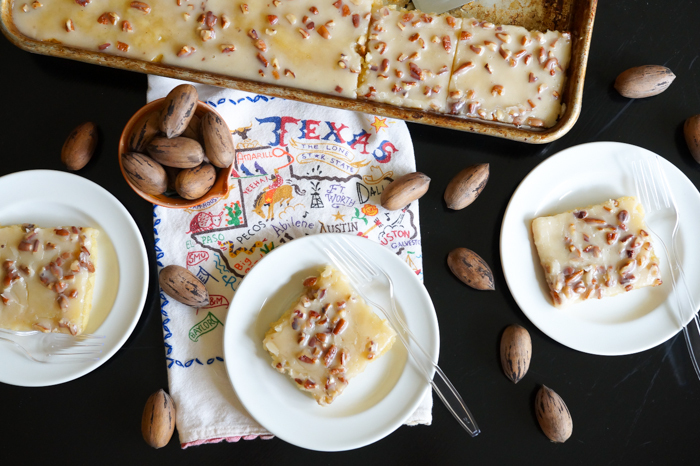 Yep, that's Texas Sheet Cake. Oh man, it's so good. I present to you White Texas Sheet Cake. 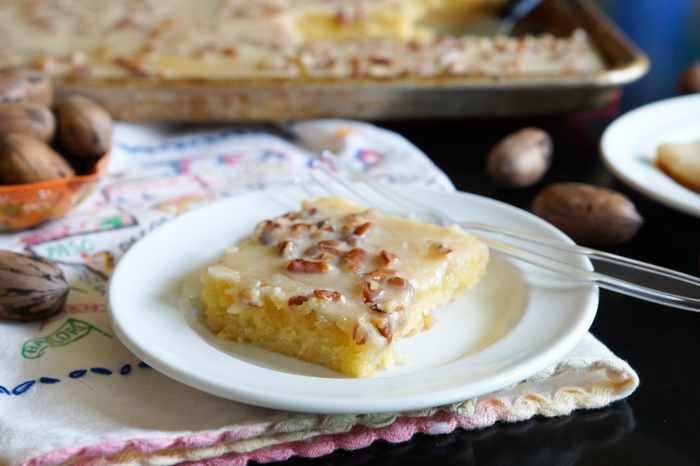 The same soft textured cake, the same poured-on icing, but in this version, butter, vanilla, and toasted pecans shine. 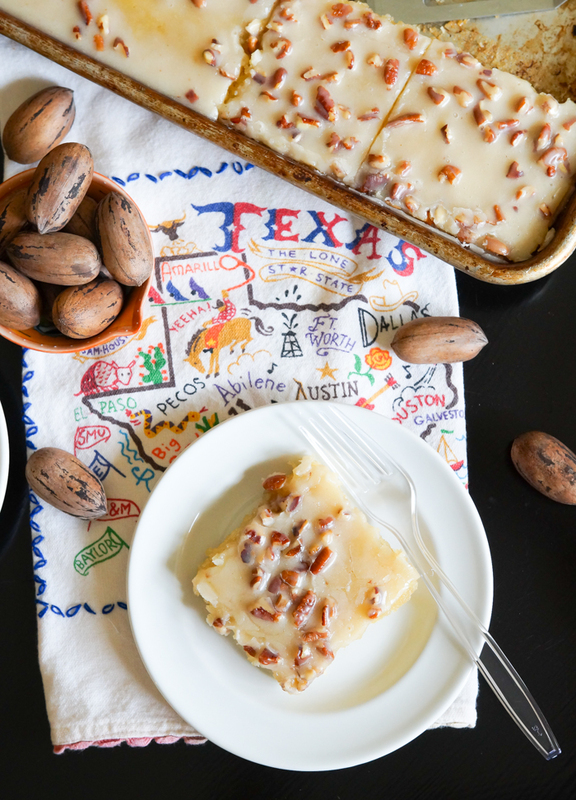 Texas Sheet Cake comes together in a flash, which makes it the perfect weeknight dinner...and it's portability makes it just the thing to bring to a potluck. I'm sharing my recipe over at Imperial Sugar today. 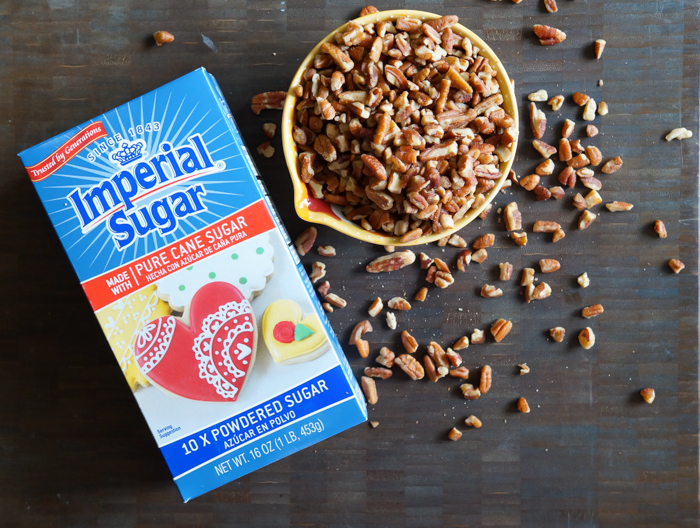 Imperial is a Texas brand, so using it makes your Texas Sheet Cake all the more authentic! Come over and grab the recipe...you'll be glad you did. It looks wonderful..sure to make one day..
A little joy every time. This looks absolutely amazing. I wish I had it now! Love this cake and want to try it soon. One of my favorite cakes! My recipe is a little different. It uses sour cream instead of milk and ALMOND extract instead of vanilla! YUM!!!! Try it! Do you think this recipe would hold up as mini cupcakes?